League of Legends is an online multiplayer fighting arena (MOBA) in which you choose a character, commonly called a "champion", and play in a team with 4 other players. You can play with friends, random people or even bots. 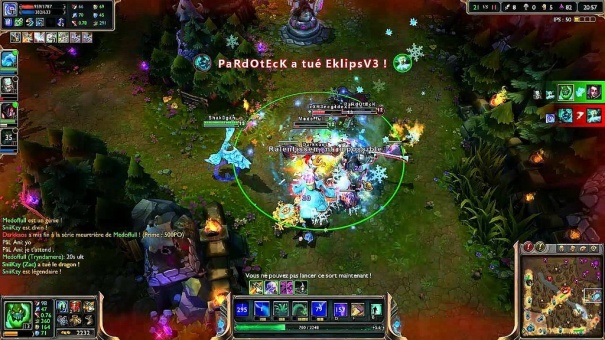 League of Legends is the Esport game with the largest community on the Internet. The number of players active daily in LoL is impressive and the number of viewers in live shows is steadily increasing. 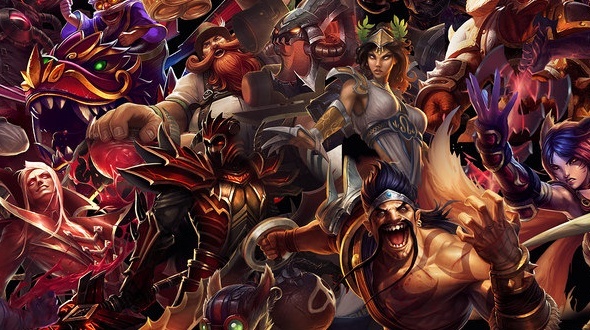 In 2011, Riot Games launched its own professional league. The League of Legends Championship Series (LCS 2018) in Europe, the United States and Asia, in which 8 teams will each compete for the title. The popularity of professional leagues in the League of Legends is one of the main drivers of the growth of betting in electronic sports events. This extraordinary success of League of Legends is due to the excellent support provided by Riot Games to its players, the variety of game tactics and the constant updates provided by Riot Games. Now, League of Legends is the leading game in Sports. This is why many online betting sites offer services not only for the LCS, but also for most LoL tournaments. All around the world. There are different types of bets available. For example, you can place bets on the team you think who are going to win (winning bets), a type of bet usually made by people who play other sports and are familiar with this type of bet. In addition, you can make other types of bets in League of Legends during the game: which team will receive the "First Blood", which team will eliminate Baron Nashor first or if there will be a "Pentakill" in the game? This is undoubtedly the most popular way to play. Here, each team is composed of 5 champions who start at level 1 on a 4-way map : Top, Mid,Bot and Jungle. Once the player has chosen his champion, the objective of the card is quite simple. All you have to do with your team is to achieve a series of objectives; destroy turrets, inhibitors, kill the Dragon, kill Baron Nashor and, most importantly, destroy the enemy Nexus before it destroys yours. To do this, you will have to kill minions and champions, which will give you gold and experience. With the gold you have won, you can buy a wide variety of items that will allow you to customize the champion you have chosen and the role you have. The experience will allow you to raise your champion's level to the last level, namely 18, and for each level you win, you will increase your attributes such as life, attack power and mana, for which it is important to increase level quickly. In addition to increasing your attributes, for each level you earn, you can learn or improve one of your champion's four unique abilities and spells. A game in the invocator's fault usually lasts between 30 and 45 minutes and ends when the Nexus of one of the two teams is destroyed or surrender. In this mode, the map looks different and has only two lanes. The team is composed of 3 champions and wins more gold per minute. In the centre of the map, you will find a large jungle containing altars that you can capture. These will give you an advantage in the game, usually this gameplay has a faster pace and more action than the Summoner's Fault. This mode has two teams of five champions who start at level 3 and face each other in a single lane (All Random, All Mid). The invocative platform does not heal and purchases are strictly limited to certain periods (Only when your champions is dead). This turns the map into aggressive land, with a high-intensity style of play that focuses on team fighting.